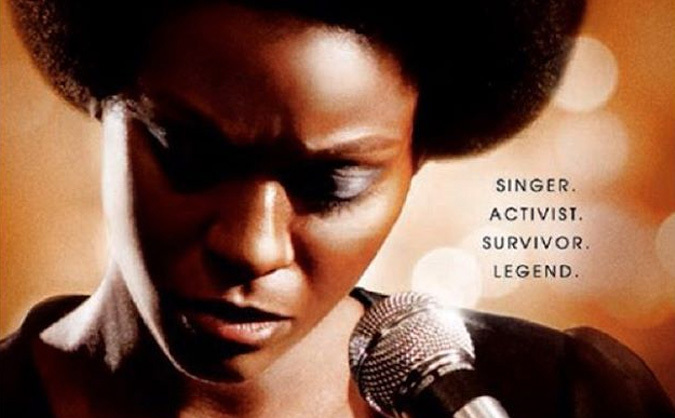 The vitriol against Zoe Saldana’s portrayal of Nina Simone (in the film Nina) has reached a fever pitch. Yesterday, Public Enemy’s Chuck D tweeted an article titled ’11 Actresses Who Could Play Nina Simone Without Blackface.’ This insidious headline reduces a thorny race debate to the two-dimensional, lowest-common-denominator tone of a Buzzfeed listicle. It’s a thoughtless, race-baiting headline and it’s a bummer that Chuck promotes that kind of drek. The phrase “take my name out your mouth” is a threat that you can hear in songs by Ludacris and Three Six Mafia. That’s great for a fun Luda song, but for a tweet from Ms. Simone’s estate, it’s extremely hostile and unprofessional. Zoe Saldana identifies as black (according to Jezebel, she is “of Dominican and Puerto Rican descent”), but she is not considered black enough to portray Ms. Simone, an icon of the African-American struggle. But isn’t that what actors do: portray someone they are not? Getting hung up on the subtleties of the skin color spectrum misses the point that you just don’t get to cast other peoples’ movies. Ms. Simone’s daughter (who goes by the name Simone) was understandably hurt that she wasn’t included in the making of the film (“How does someone just decide to do a story about someone and completely bypass family?” she asked). She also said that a biopic that turned the story of Elvis or Sinatra into a “tall tale” wouldn’t get very far. Wrong. Almost all Hollywood biopics of legendary musicians turn out to be saccharine reductions of complex lives – just look at Ray or Walk the Line. Most biopics are Hollywood hokum – the only one I’ve ever seen that’s not a “tall tale” is Gus Van Sant’s Last Days about Kurt Cobain. If Simone wants a film that portrays her mother the way she sees her, she will have to make that film herself. The way people have piled on Ms. Saldana is unfair. There are real racists in America that we need to fight right now. Zoe Saldana isn’t one of them.